I have to say, it’s hard for me to remember a time before I was hiking in Virginia. As I’ve said before, Virginia contains over 550 miles of the AT, nearly a quarter of the whole trail. If you’ve had much connection with the trail, you’ve probably heard of the Virginia Blues. It’s the state of burnout hikers get when they wake up, hike, go to sleep, and repeat, day after day, week after week (if they’re really slow, month after month), in the same state. Some quit. Some do crazy mileage feats (30+ per day) to try and make it go as quickly as possible. Some are driven to insanity. 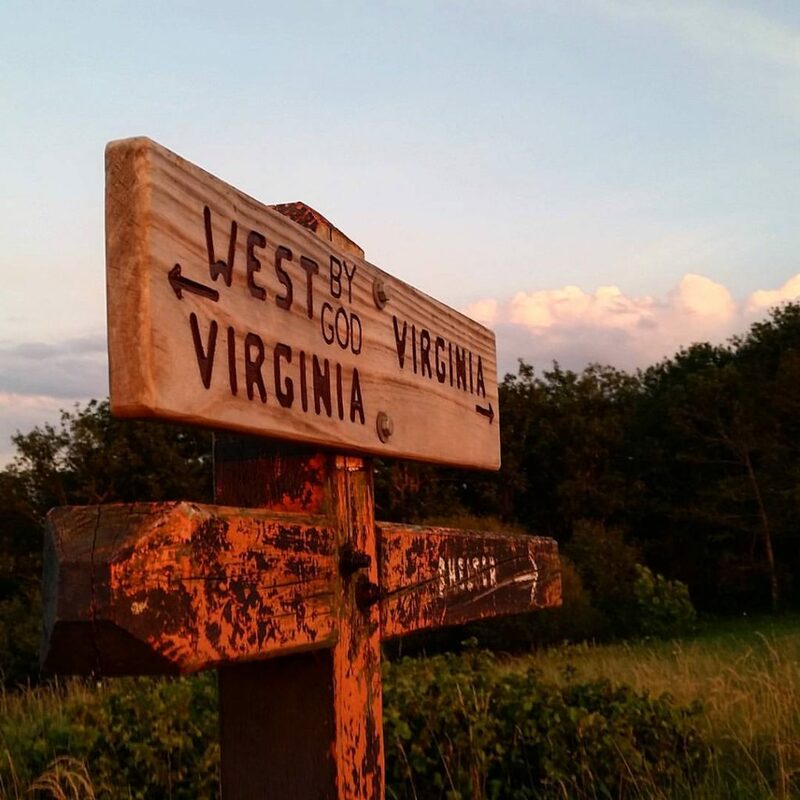 #AppalachianTrail2016 #yearofadventure #hiking #backpacking #whiteblazers #optoutside #mountains #nature #sunset #va #wva — at Virginia-West Virginia State Line. One benefit of hiking 400-some miles in the same state is that it gives you a lot of time to think, and I think I’ve distilled the Virginia Blues down to two causes: One is the sheer length of trail here, combined with the lack of major milestones of progress. The three states south of here have far fewer miles between them, and they also have big, gratifying points to check off: Bly Gap, the NOC, Fontana Dam, the Smokies, Roan Highlands, etc. There are far more hostels and trail towns, and the high mountains of the Appalachian South have a much bigger tourist presence and awareness of the trail. Virginia has a lot less of that. There aren’t many major milestones, not many dramatic terrain features, not as much awareness of the trail, and a lot more miles. All of your days start to run together into a hazy blur of Old Dominion. Not that it still isn’t beautiful, far from it – there’s just not a lot to differentiate the last hundred miles from the last two hundred before that. I swear I’ve seen the same view at least five different times, all a week apart. The other reason, as I’ve mentioned before, is the pernicious trail hoax that Virginia flattens out and gets easy. 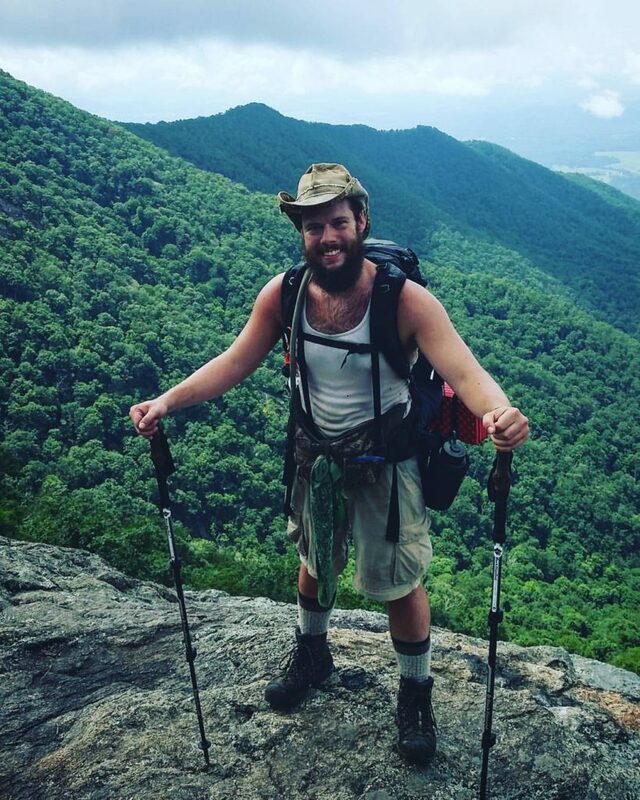 Let me say it loud and clear for anyone reading this who’s considering a thru-hike: VIRGINIA IS HARD. Again: VIRGINIA IS HARD. IT DOES NOT FLATTEN OUT, NOR DOES IT BECOME ANYTHING RESEMBLING EASY. VIRGINIA IS HARD. Of the two reasons hikers get burned out here and quit, I would venture to say this is the major one. After scrambling up the sharp, steep knobs of Georgia, climbing the mile-high balds of lower Carolina, and clawing through the Smokies, we’re all justifiably ready for a break. And it never comes. Although the overall altitude is lower, the climbs here are just as steep, just as long, and just as rocky, arguably more so, than anywhere else on the trail thus far. My last two hundred miles were absolutely hellacious. For days on end, I had 3,000’+, 5-6 mile climbs once every ten to fifteen miles, so once a day. Sharp-edged rocks of every shape and size make up the majority of the trail surface, very little of it is actually dirt. Oh, and it rains here. A lot. For a period of almost three weeks, with a few days excepted, it rained every four hours like clockwork. A thunderstorm would brew, dump its contents, rebuild, and dump again. It’s still some of the hardest hiking I’ve ever done. 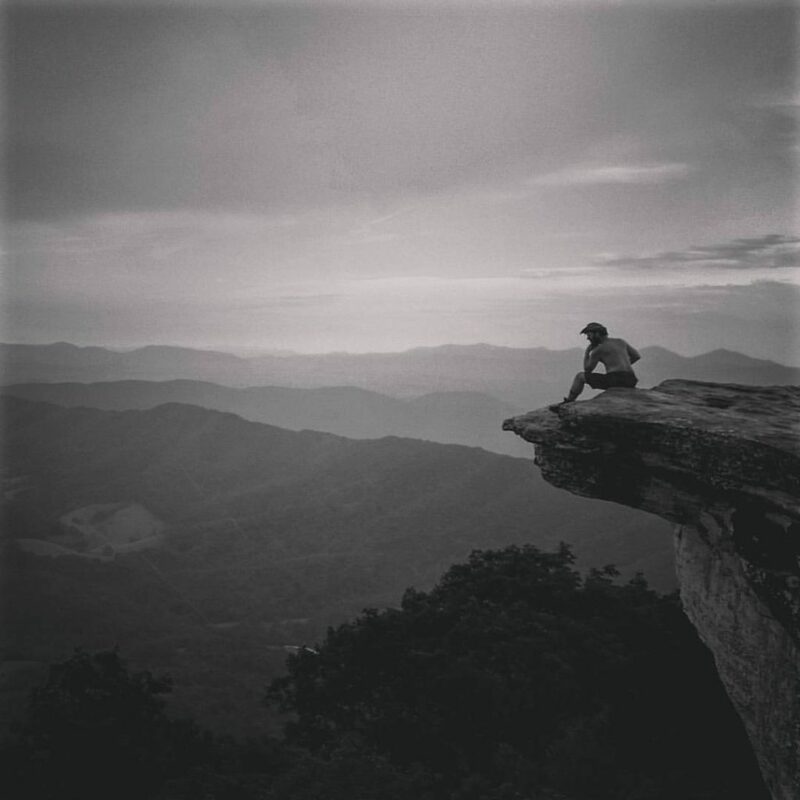 #AppalachianTrail2016 #yearofadventure #whiteblazers #livefree #optoutside #mountains #nature #scenery #ontheedge — at McAfee’s Knob. Until now. A few days ago, I crossed into Shenandoah National Park, my second national park of the trail. For some reason, I was prepared for another experience like the Smokies, the last section of National Park Service trail: Wild, rugged, and dangerous, with aggressive bears, few roads, and terrible terrain. I couldn’t have been more wrong. Shenandoah is starkly different than Great Smoky Mountains National Park. In fact, it’s nearly that park’s polar opposite. The trail is almost ridiculously smooth and clear of rocks. The Potomac Appalachian Trail Club and the NPS do an excellent job of keeping the trail flawlessly manicured, to the point that I actually have a hard time believing I’m still on the AT. I’m almost certain that the myth of Virginia being flat and easy originated in Shenandoah. There are still mountains to climb, but they’re small. The trail mostly stays up on top of a long, gentle ridgeline, and the elevation change is slight and gradual. A few days ago, I climbed Blackrock Mountain at the southern end of the park. I reached the top right after sunset, and saw a fog roll over darkened mountains. Wind chimes hung in the trees as a memorial provided an eerie, but beautiful, background noise. Blackrock, like many high points on the trail, is basically a gigantic rockpile. Huge, jagged-edged boulders jut out at all angles. Anywhere else on the trail, the white blazes would have tracked right over them and made for a bona fide scramble. But here, the ankle-cracking crevices in between the big rocks were filled with – get this – pea gravel. You read that right. Pea gravel. I was flabbergasted. The reason being is that Shenandoah is built for tourists. Constructed in the 1930s, the explicit goal of the park was to make the western-style National Park experience easily accessible to residents of the East. Washington DC and its suburbs are a little over an hour’s drive away, and it’s accessible to New York, Baltimore, Philadelphia, and much of the Ohio Valley for weekend trips. And the park reflects its audience. It has a very safe, comfortable, Yogi Bear at Jellystone feel to it. As as far as parks go, it’s pretty tame. Skyline Drive, a beautiful, curvy, perfectly maintained two-lane turnpike runs the length of the park, and there are large campgrounds with space for hundreds of people every few miles. It’s absolutely surreal to be hiking through fog and see a bus-sized RV suddenly appear out of the mist. The AT crosses Skyline a minimum of once a mile, and is also crisscrossed by dozens of shorter connecting trails, each intersection clearly marked by a 4″×4″ concrete post with directions and distances stamped on a metal band around the top. Waysides, which are a combination comfort station, camp store, and restaurant, are a short distance off the trail about once every fifteen miles or so. 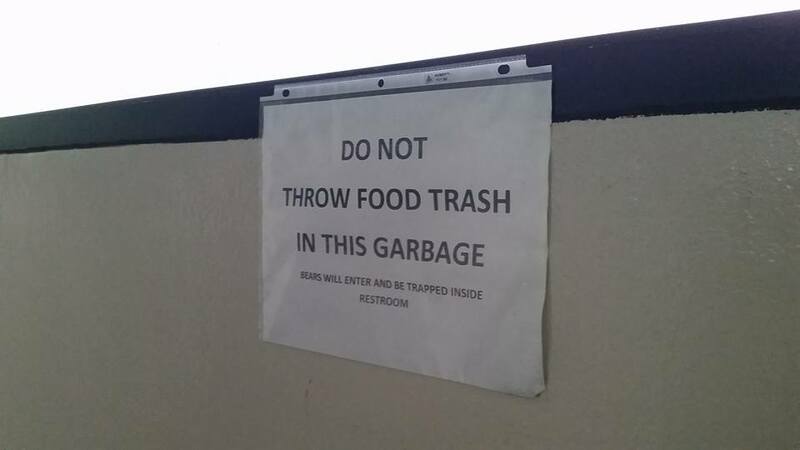 I’ve eaten at several of them, and the burgers, chicken finger baskets, cheesy fries, and blackberry milkshakes are delicious, if pricey. The taproom at Skyland Resort gave me one of the best meals I’ve had on the trail. Cell service is decent, and with all the road crossings, it’s not difficult to call a shuttle or hitchhike into Waynesboro, Luray, or Front Royal. It truly is a walk in the park. It’s almost too easy. 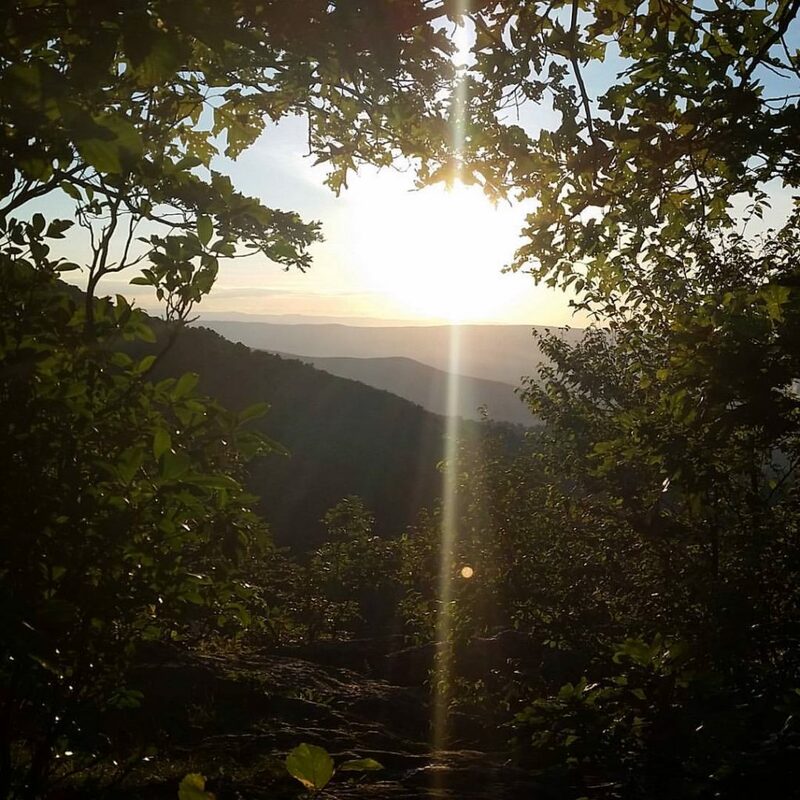 #AppalachianTrail2016 #yearofadventure #whiteblazers #optoutside #hiking #backpacking #nature #mountains #livefree #sunset — at Shenadoah National Park. And on one level, there’s nothing at all wrong with this. For a lot of people, this is how they choose to enjoy and experience nature. Some people aren’t physically capable of doing hiking that’s any more difficult than what Shenandoah offers. For families with young children, I can’t imagine a more perfect place for a mountain vacation. It’s safe, accessible, affordable, easy to hike, with great scenery and a myriad of interpretive nature programs. For others, it’s a great place to get started in backpacking, since it’s virtually impossible to get lost, and you can see some nice scenery without a lot of effort. On one hand, part of me wishes that the whole trail was this easy. If it were, I’d probably be at least to Vermont by now, if not done completely. This park has been a great vacation-within-a-vacation from the actual AT, especially after the brutality of the hundred miles preceding it. It’s been a great place to make up miles, and have days on end of really relaxed, chill hiking. In our society, chances to really, genuinely prove ourselves are few and far between, but the drive is still there, latent, but unquenchable nonetheless. And so we journey out here. And here, in the wilds of these high, ancient hills, we find challenge in spades, or more often than not, it finds us. I won’t lie – these past few weeks have been hard, and I don’t just mean the terrain. My body has begun the process of protein metabolism, a condition common to ultra marathoners and long-distance hikers. It means that I’m not able to take in enough carbohydrates or burn enough fat quickly enough to meet my energy needs, so my body is instead dissolving my muscles and metabolizing the protein. It leads to constant soreness and fatigue, and probably the worst side effect, peeing out my sweat glands. No, seriously. A by-product of protein metabolism is ammonia, which is disposed of through your pores, so your sweat reeks like piss. I don’t always post pictures of myself, but when I do, I look like complete #hikertrash. #AppalachianTrail2016 #yearofadventure #whiteblazers #optoutside #mountains #hiking #livefree — at Three Ridges Wilderness, George Washington National Forest. The constant rain has given me a case of trench foot, named in World War I to describe what happened to the fighting men’s feet after standing in water for weeks on end. The skin on my feet has been peeling off in gray, dead, soggy chunks, and open, bleeding sores have started to form on my heels and on the balls of my feet. They’re literally rotting while still attached to my legs. I will say that this condition has improved in the last few days, given the relatively dry weather we’ve had, and the chance to finally do some miles in dry shoes and socks. It’s been nice to not have to wash the blood out of my socks. It attracts bears, you know. My gear is falling apart. The right shoulder strap of my pack is going to break before another three hundred miles are done, the cork grip on one of my trekking poles has split in two and is being held together by superglue, my clothes and stuff sacks are unraveling and wearing through, and my pistol has a nice heavy coat of rust, despite my efforts to keep it clean. And of course, my boots are shot. The soles are coming apart in big chunks, to the point of actually having holes in the bottom of the shoe. Shenandoah problems. — at Loft Mountain Campground, Shenandoah National Park. But the only serious problem I’ve had lately is a series of mild to moderate sprains on my right ankle. The day before I entered Shenandoah, I rolled my ankle pretty badly on some loose rocks, and didn’t think anything of it. I sprained this ankle severely not quite two years ago, and it’s tried to go for it again every chance it can, so I’m used to it getting rolled. I kept hiking. After the first sprain, the pain and swelling slowed me down considerably, whether I was aware of it or not. I could still endure the miles, they just took a lot longer. The pain made me clumsy, and a few days ago, I sprained it again, worse this time. Thankfully I was doing some slackpacking out of Open Arms Hostel in Luray, so I had a place to stay as well as a ride to Walmart, where I bought an ace bandage, wrapped it, and kept hiking. This goes against everything any physician will tell you about how to treat a sprain: Stay off of it for at least a week, ice it, and get plenty of rest. I did none of those things. The ace bandage compressed the swelling enough that I was able to get my boot on, and Shenandoah’s gentle, easy trail gave me a chance to continue making miles without putting as much stress on it as I would have during normal hiking conditions. It still hurts, but as long as I can keep moving forward, I’m going to. I’ve had some hard days, sure. But that doesn’t mean they were bad days. A wise old hippie named Merlin once told me that no day is entirely good or entirely bad, and he’s right. Even on the best day imaginable, something still goes wrong, even if it’s insignificant, like someone cutting you off in traffic. And even on your darkest day, there’s always the tiniest bright spot. It’s all just a proportion, and the secret of contentment is finding the day’s good, focusing on that, and letting the bad roll away. Some days it’s easier than others, but it’s always possible, and always worthwhile. 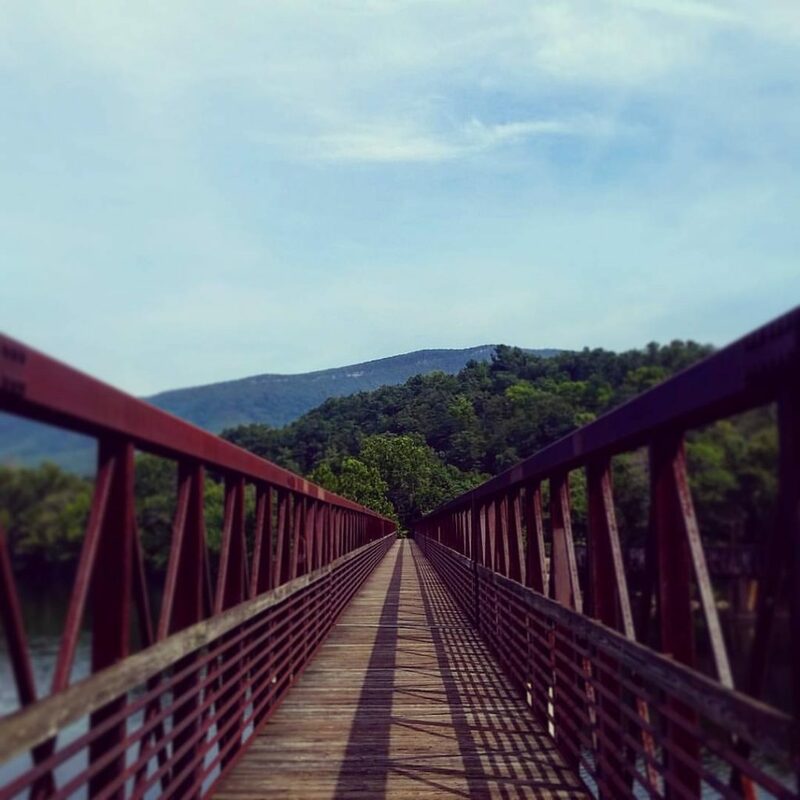 The James River Footbridge, longest foot traffic only bridge on the entire Appalachian Trail. #AppalachianTrail2016 #yearofadventure #exploring #backpacking #whiteblazers #optoutside #scenery #bridge #engineering — at James River Footbridge. The morning of the day I sprained my ankle the second time, the worse time, I’d run into an elderly couple hunting mushrooms. They’d been doing this for years, they said, so I trusted their expertise. The older gentleman said they were gathering chantarelles, and asked if I would like some. I replied yes, absolutely, assuming he was going to give me a handful of them to eat right there. Instead he filled up a gallon ziploc bag full of them. Chantarelles are one of the most desirable and hard to come by mushrooms in the world, prized by gourmet chefs for their unique texture, and flavorful overtones of almond and apricot. They can’t be cultivated, only gathered wild, and only grow during a short span of about two weeks in midsummer. I was delighted, especially since I knew that I had kitchen privileges at the hostel that night and could actually do them justice, instead of throwing them into a Knorr Pasta Side for extra calories. I picked up some supplies at Walmart and went to work. I sautéed the ugly, bright-orange mushrooms in butter and fresh garlic, pan-seared a salmon steak, and steamed a brown rice and quinoa pilaf to accompany it. I even bought a mini pecan pie for dessert. It was a joy to get to really cook again, something that I’ve missed terribly since being out here, where meal prep generally stops at boiling water. It also made me happy that one of the best meals I’ve had on the entire trail is one I cooked myself. Sprained ankle. Home-cooked gourmet meal. Good day, or bad day? I choose to see the good. I’m surrounded by this intense mix of positive and negative experiences, and truly grateful for both. In its own way, every day is still an adventure, holds its own unique promise, and bestows its own memories. I’ve been overcome by the generosity of friends and strangers that has helped me get as far as I have. Before Waynesboro, some old family friends stopped by to take me to dinner and shuttle me to a hostel. Connie and Peter Miller have known me since I was in fourth grade, when I went to school with their son Peter Jr. It was more heartening than I can say to see some familiar faces from back home, especially in a stretch where I spent nearly all my days in total solitude, rarely seeing more than one other hiker per day. I’ve been given more free water bottles, sandwiches, energy bars, encouragement, and general trail magic in Shenandoah than anywhere else so far. At Lewis Mountain Campground, I was on my way to check in and pay for a site when a group of friends, young professionals from DC camping for the weekend, invited me to come share in their steaks and beer. I had a hearty meal, good company, and was able to sleep for free on the picnic table behind their cabin. Pat and Skip Giles, a kindhearted middle-aged local couple touring Skyline Drive, went ten miles out of their way to drive me into Luray so I didn’t have to hitchhike on the road in the dark. This was after being acquainted with me for a grand total of five minutes. Between the people I’ve known most of my life, random strangers, fellow hikers, hostel owners, and countless others, I’m surrounded by kindness. Before setting out on this trip and into the early days of it, I had a very prideful, me-against-the-wilderness sort of attitude towards it. This was my experience, and I was going to handle it all by myself, dammit. I didn’t need or want anyone’s help. But time and miles have humbled me. I’ve realized that yes, it’s still true that this is an individual pursuit, that you are more than free to hike your own hike, and it’s still you in the end that hoists that pack every day and puts one foot in front of the other to move down the trail, and that you can still have a successful hike by isolating yourself and making the experience all about you… But. It won’t be your best hike. Yes, the wildness and the nature and the hardship and the undying rugged individualism and the breathless romance of the absolute insanity of what you’re doing out here are all very, very real. But it’s the people, and the community, and allowing yourself to be part of that, that makes this experience what it is. If you’re real with yourself, you quickly come to realize that this can’t be done alone. That if you don’t allow yourself to accept the kindness that the people around you are freely giving, you’re shortchanging not only yourself, but them as well. If you want to throw it back in their faces for the sake of claiming you did it all by yourself, you’re free to do that, but to what end? It’s taken me about a hundred and sixty miles to write this post, and as I finish it, I’m rolling into Harper’s Ferry, WV, my fifth state and the ceremonial halfway point of the trail. The actual halfway point is about a hundred miles north in Pine Grove Furnace State Park, Pennsylvania. But I’ve crossed the thousand mile mark. Four digits. I passed the sign during yet another epic thunderstorm, an occurrence now more annoying than exhilarating, having hiked through several dozen of them now. But this one was still a little hair raising. Trees were falling around me, and limbs as big around as my thigh were dropping out of the sky onto the trail directly in front of me. It’s all par for the course, though. Just another day in the woods. Of the five million steps that’ll take me to Maine, this one meant a little more than most. 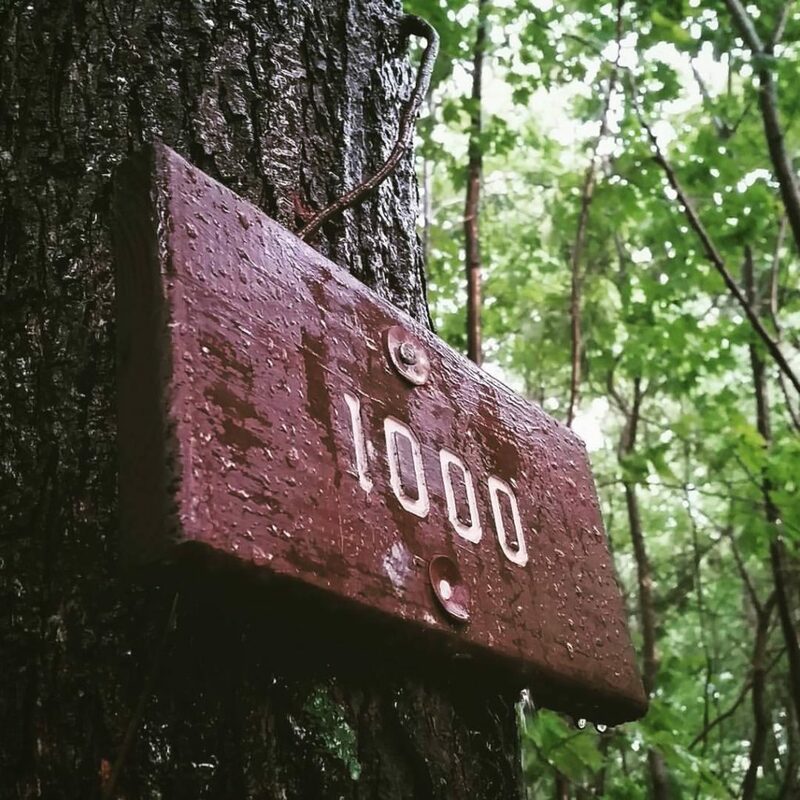 #AppalachianTrail2016 #yearofadventure #whiteblazers #optoutside #hiking #backpacking #nature #mountains #livefree #rain #wet #thunderstorm — at Applachian Trail. As I near the halfway point, I’m reflecting more and more on my status. I’m in constant pain from the injuries I’ve collected along the way, wet, carrying old, broken gear, chronically hungry, desperately homesick, and dead broke. Broker than I’ve ever been in my life, in fact. Tired doesn’t begin to describe it. Weary comes close. But I’m also deeply at peace. Whole. Content. Measure upon measure older and, maybe, just maybe, a little wiser than when I started out. The choleric pride that I started with has bled out and left me with a quality I don’t think I’ve ever possessed in my life: Serenity. And I’m free. God, yes, I’m free, a freedom flowing through me that is intoxicating, heady, and rare. The kind of freedom that is the birthright of us all, but one that few will ever claim. That part might be the most delicious. Sadly, I may soon be faced with the possibility that this adventure will end before the trail does. I’m quickly running out of cash, and short of a miracle, I won’t have enough money to finish this year. But I’m going to keep hiking until that day comes, because although the wallet is weak, the spirit is willing. I’ll keep you posted. I really enjoy your writing style. Thank you for sharing your adventure with us all! I continue to thoroughly enjoy vicariously hiking alongside you (in my imagination). Praying God provide the funds to keep you going. Any idea how much you need to finish? I’ve been following your journey and enjoying your writing, pictures and perspective. BTW, I’m sure you’ve settled on a trail name by now…what’s your handle? Disregard my last question Mountain Goat…I just went back and read ALL your posts…certainly explains the skull on your pack!